This past weekend we celebrated our littlest turning 2! His birthday is actually this Friday (27th), but due to some of our schedules we decided to have his party early. 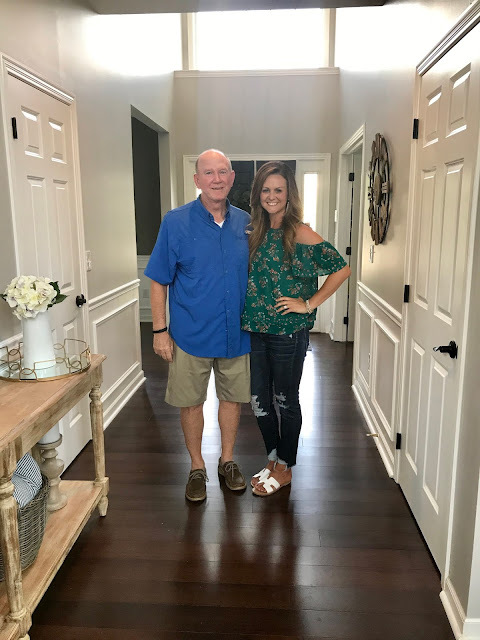 We will be going to meet his new cousin (yay!!!) and to the lake on Friday, so it was just easier for everyone. 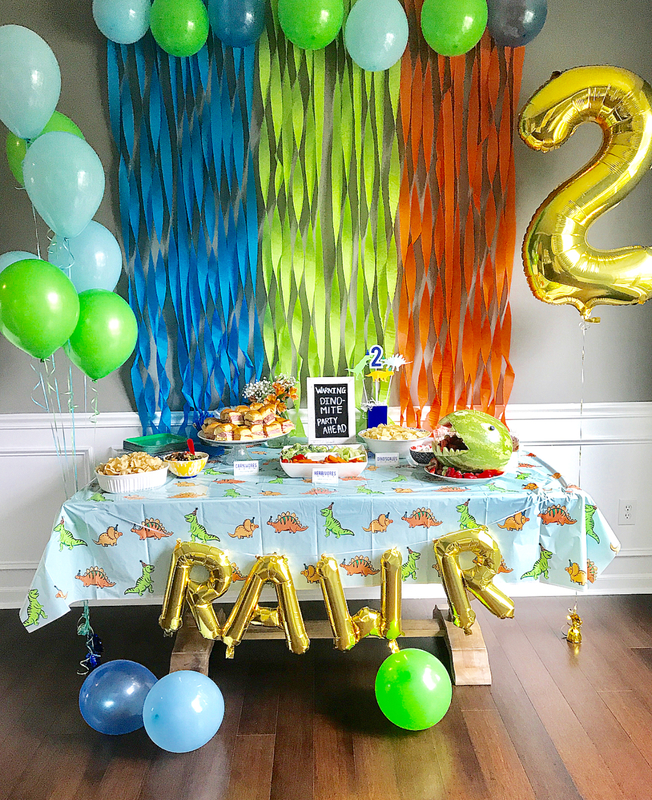 Grayson has been obsessed with dinosaurs lately (he says RAWWWRRR any chance he gets), and I loved the idea of incorporating them for his party. I kept the food simple and bought a mac and cheese platter from GFS and did sliders and some other dips and Billy made a dinosaur head out of a watermelon (turned out so cute!) that we stuffed with fruit. I put the boys in matching dinosaur shirts (from Gymboree!) and I bought Grayson some pretty cute shoes that I found on clearance a few days prior! I filled up a baby pool with sand and had plastic dinosaurs and shovels for the kids to play with and we also set up a bounce house in our backyard. It was supposed to rain all day but we got lucky with not having any and it ended up being on the cooler side which was a plus! 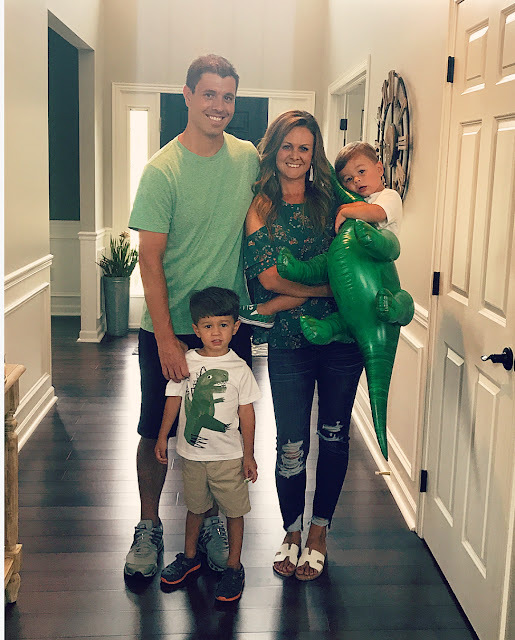 Billy's friend let him borrow his adult sized dinosaur costume (that he used for his nephews party recently) to surprise the kids with and it was absolutely hysterical watching their reactions! Some of them were scared and weary in the beginning (Grayson clung to me for a few minutes) and some (aka Camden) were jumping up and down excited! It didn't take long for the kids to warm up to T Rex (especially after some dance moves) and soon enough they were all giving high-fives and hugs. I got some really great videos that I can't wait to show them when they're older! Grayson was smiling from ear to ear the entire party - we know he had the best time. 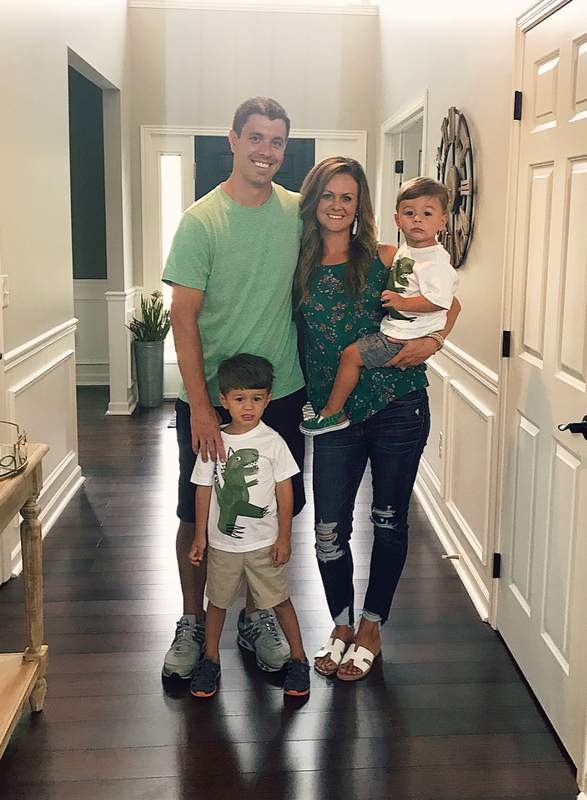 To add to the excitement that day, Billy's brother and his wife had their baby boy DURING Grayson's party! We were all so happy and excited. Only a few more sleeps with a one year old...le sigh. Grayson has been the biggest blessing to our family, I can't even talk about it without wanting to sob my eyes out. He is truly the sweetest, most gentle, silly, lovable little boy out there. We are beyond thankful that he is ours and to for the opportunity to watch him grow every single day. I cherish every moment I have with him. Can't wait to celebrate him on Friday, too!